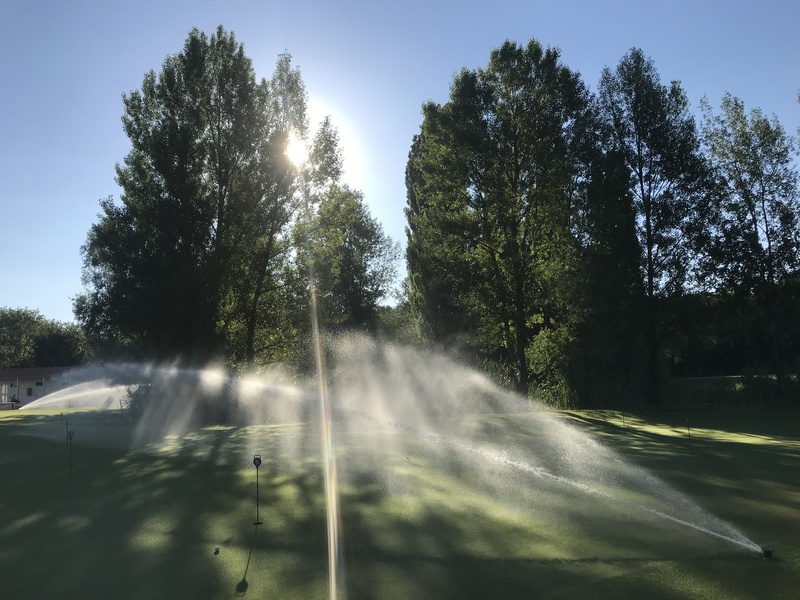 Make an active contribution to your holiday and your stay in Gumpoldskirchen and use the infrastructure of the WIENERWALD THERMENREGION for workouts: actively engage in sports to promote your health and wellbeing. 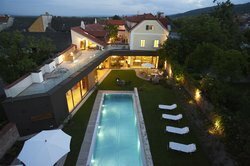 Here you will find everything for your ACTIVE HOLIDAY. 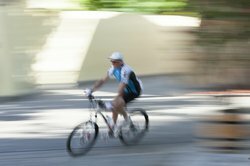 Cycling, mountainbiking, swimming, hiking, golfing and horse riding - this and much more you can start with right at the hotel's entrance - just start off! 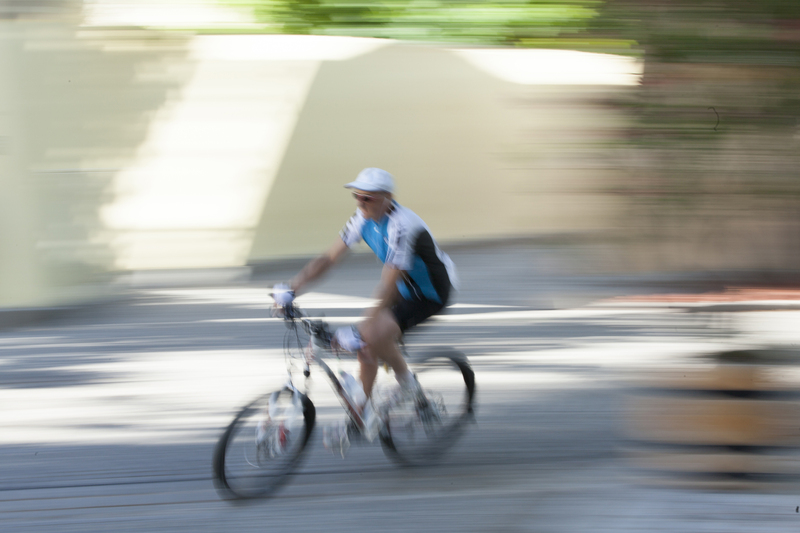 We offer you numerous sports opportunities in and around HOTEL LANDHAUS MOSERHOF. 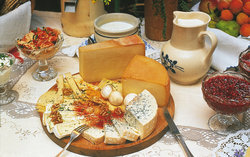 In the evening visit our world famous "Heurigen" (local traditional restaurants). Visitors who like adventure should visit our exclusive casinos in Baden and Vienna. 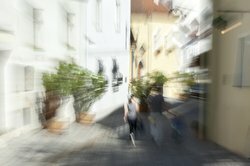 Cultural interested visitors may prefer our successful music theatres, musicals and the world famous Vienna opera house and Vienna's concert hall. Cycling and biking with children and adolescents in the WIENERWALD THERMENREGION. Child-friendly family routes are fun, and thanks to the game and action along the way, even young pedal riders will not get bored. 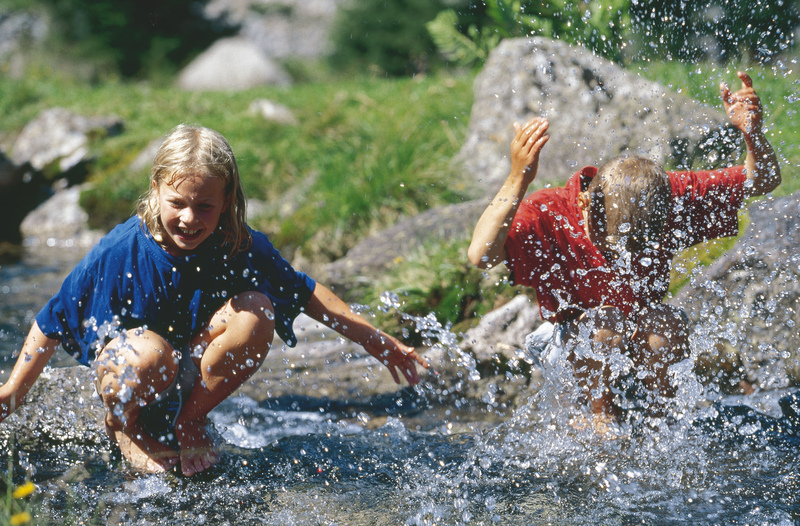 The beautiful scenery gives way to many small bodies of water where kids can splash around. We also offer an outdoor pool at our hotel! Take a horse ride straight into the sun set. 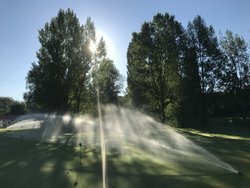 Whether you want to go hiking or Nordic walking, the area offers a variety of phenomenal trails for all levels of fitness. 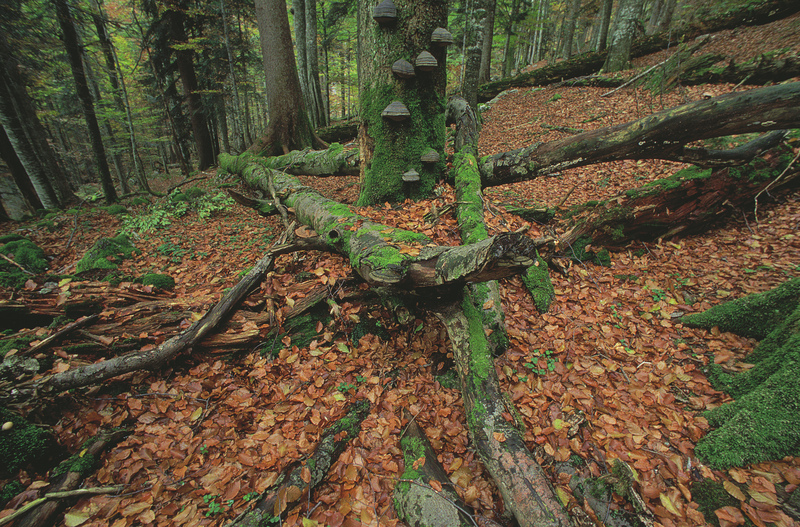 Walk through the trees and be mesmerized by what nature has to offer. 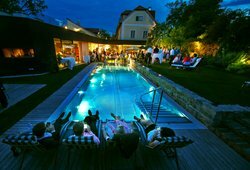 Get the spirit of horse riding competitions at the highest level practiced in Austria at the horse riding park MAGNA RACINO. 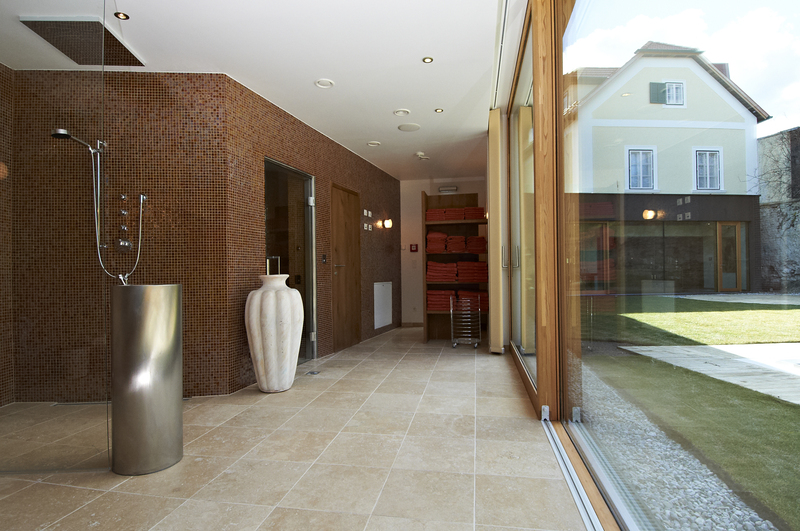 We are located in vicinity to the Horse Riding Park MAGNA RACINO just about 15km to go. 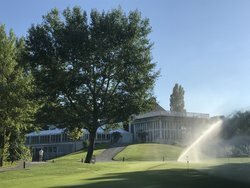 Only 20 minutes from Vienna and just about 10 minutes from Gumpoldskirchen is a true horse and equestrian paradise - the Horse Riding Park MAGNA RACINO. 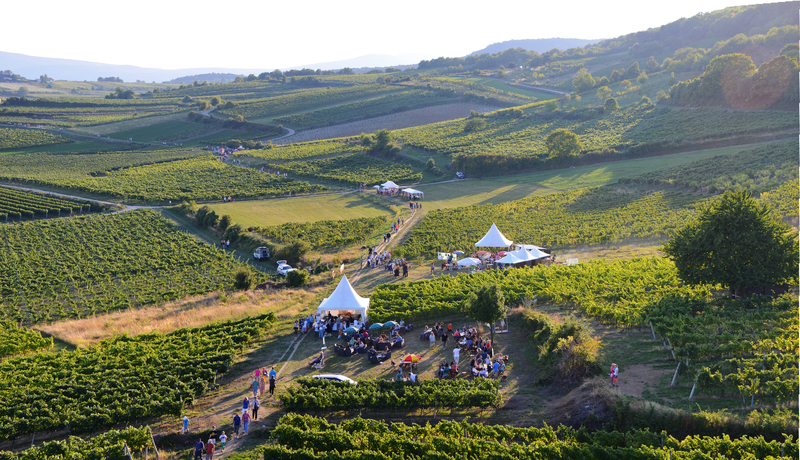 The MAGNA RACINO offers on a more than 200 hectares large, exclusive riderareal with everything you could imagine for horse sport events, riders or also for an adjuster. 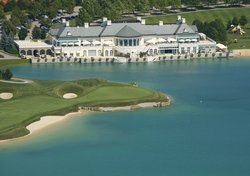 Golf Club Fontana, and several other gof clubs, are located by a beautiful lake, making your golfing experience that much more memorable. 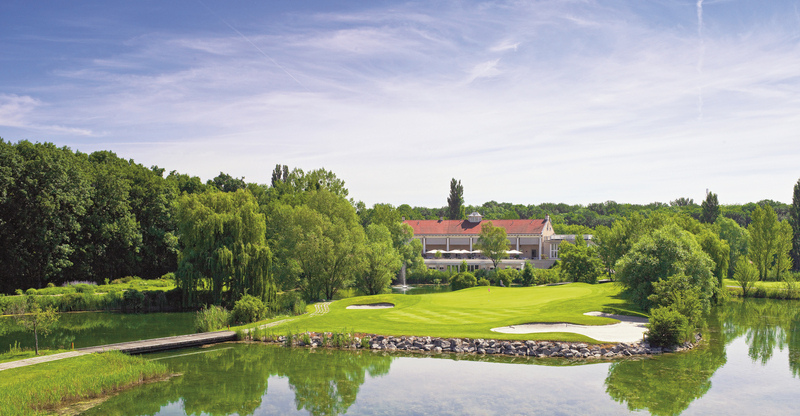 ﾠIn addition, Hotel Landhaus Moserhof offers a variety of golf packages for both beginners and experienced golfers! 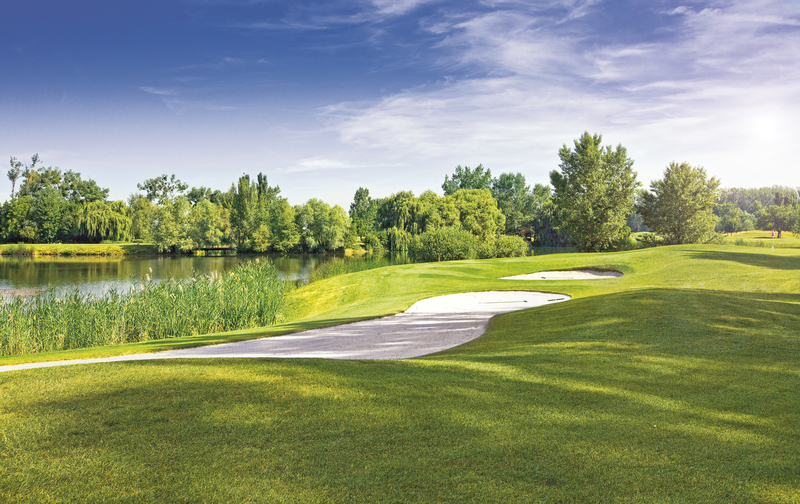 Whether you are an amateur, or an experienced golfer, there are more than 20 golf courses in the area for you to choose from. 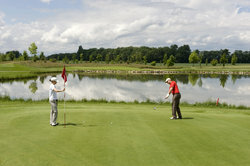 Start your golf day at COLONY CLUB HIMBERG. 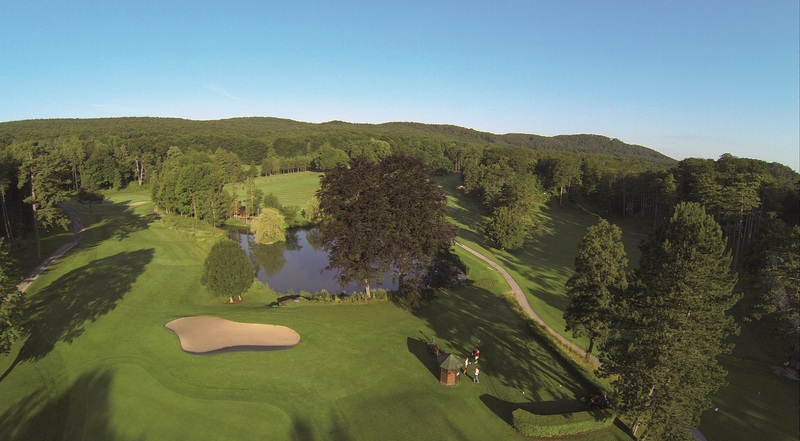 This club is one of the best LEADING GOLF COURSES in Austria. 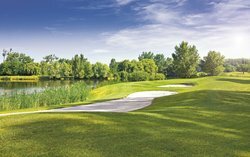 The golf course will provide a calming atmosphere to let you focus on your swing, your breathing, and making the perfect shot. Take a few practice swings before you plant your feet beside the ball and take a perfectly calculated swing. Head out to the course with friends and motivate each other to do better. 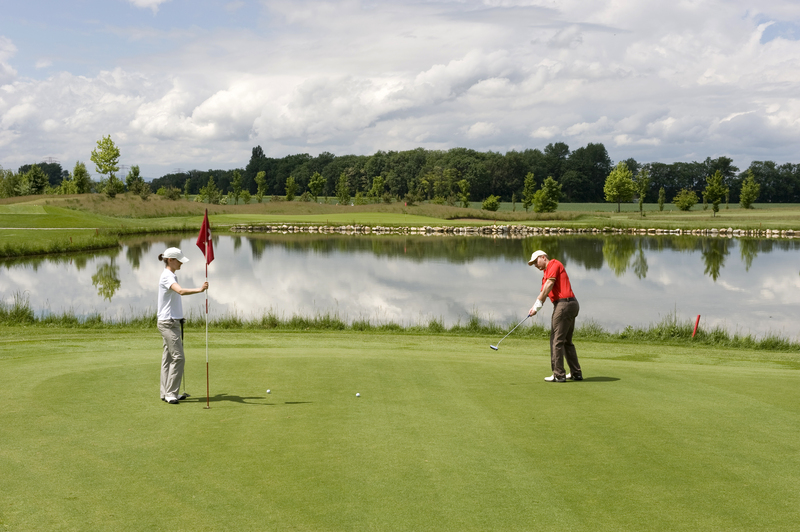 If you are a beginner playing with more experienced friends, you can choose to all tee off, and then continue from the location of the best shot, this pattern would then be repeated. 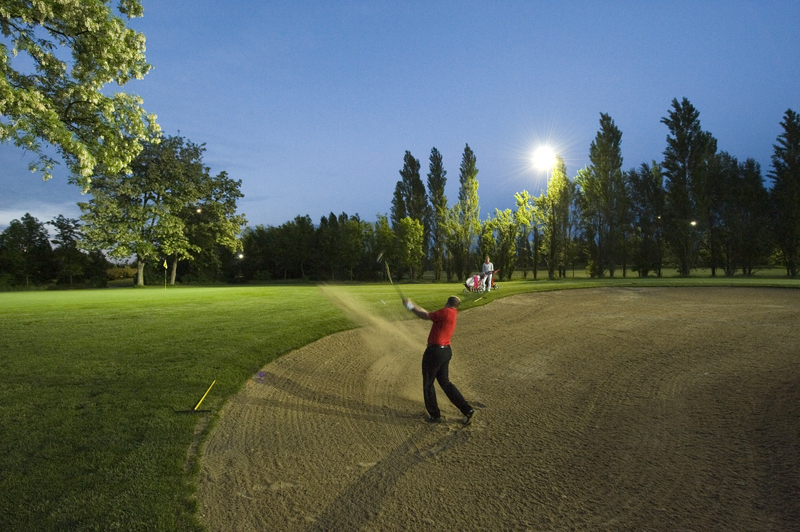 It happens to even the best of golfers, you miscalculate a shot and land your ball right in the sand. 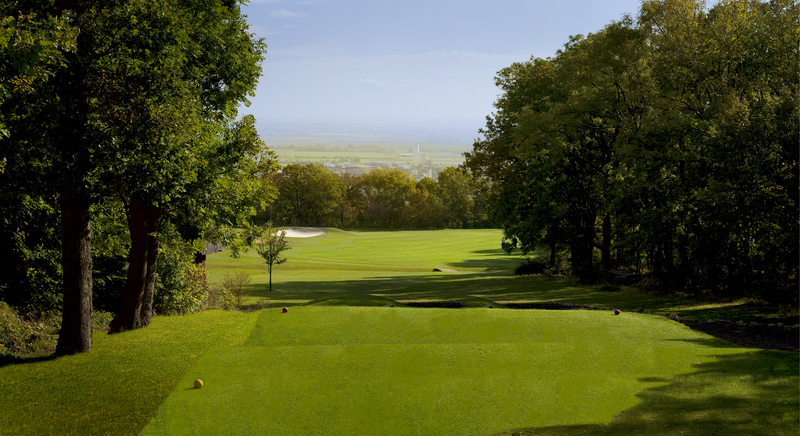 What's important is to rise to the challenge, pick the right club, take a deep breath, and hit the ball at a perfect angle to get it back on the green. 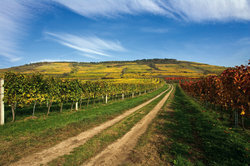 The wine-growing region Thermenregion was created with the wine law in 1985, when the areas Gumpoldskirchen and Bad Vöslau were merged. 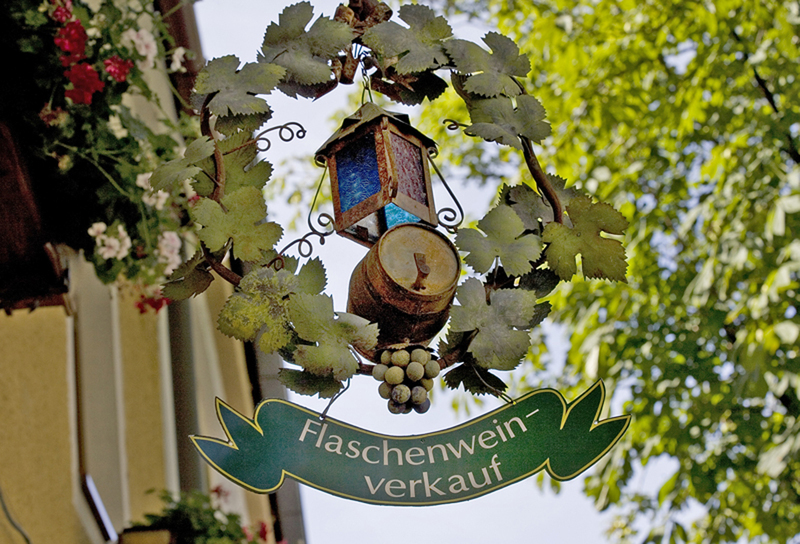 The wine-growing region Thermenregion was created with the wine law in 1985, when the areas Gumpoldskirchen and Bad Vöslau were merged. 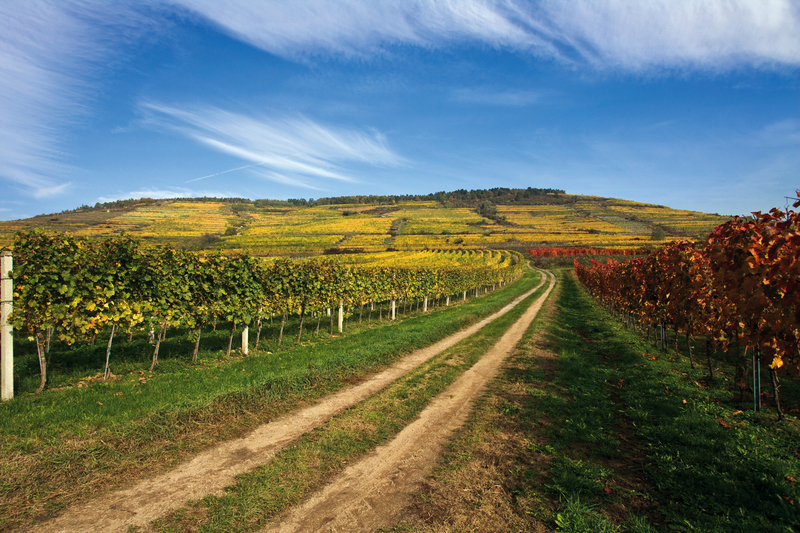 2,181 hectares of vines lean against the slopes of the Vienna Woods, from the outskirts of Vienna along a ridge with the Anninger as the highest elevation of Mödling, over Guntramsdorf, Gumpoldskirchen - the main town of the spa region - Baden, Soss and Bad Vöslau. 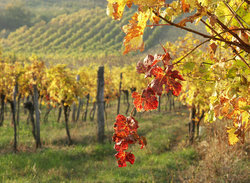 Even today, in the northern part of Gumpoldskirchen, the white wine dominates with the autochthonous varieties Zierfandler (also called late red) and Rotgipfler, while in the south the red wine dominates with the varieties Sankt Laurent and Pinot Noir. 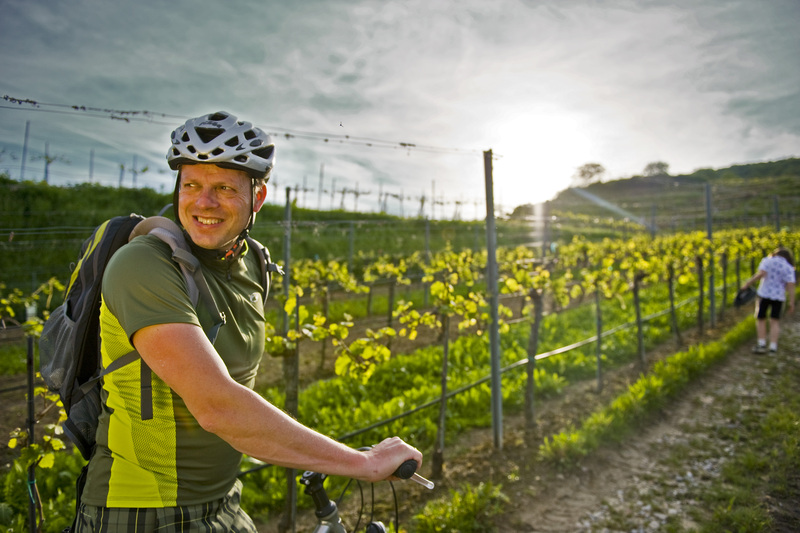 The "vineyard cycle path" leads you along the Anninger hill right through the vineyards of Mödling, Guntramsdorf, Gumpoldskirchen, Baden, Soos to Bad Vöslau. 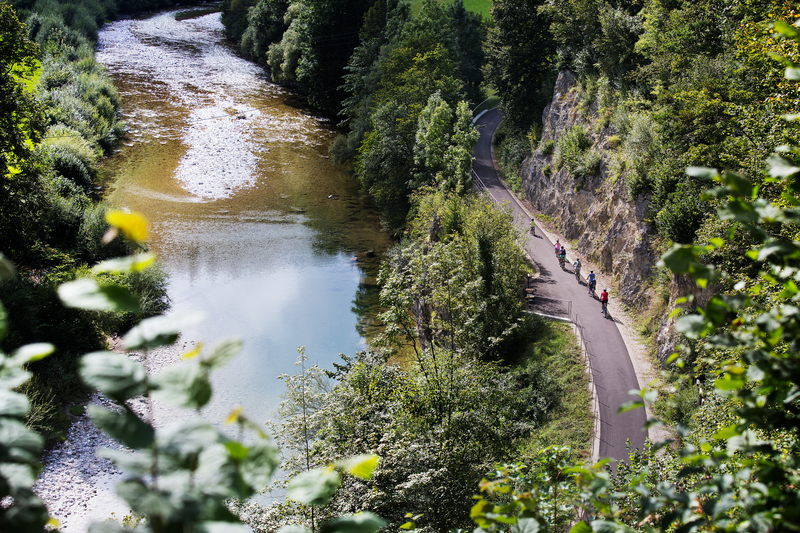 We offer along our bike paths sufficiently beautiful places, that you can use to stay comfortably with your family or to take a break. Take a break in the historic villages of the Thermenregion and get to know the regional characteristics of our culture. 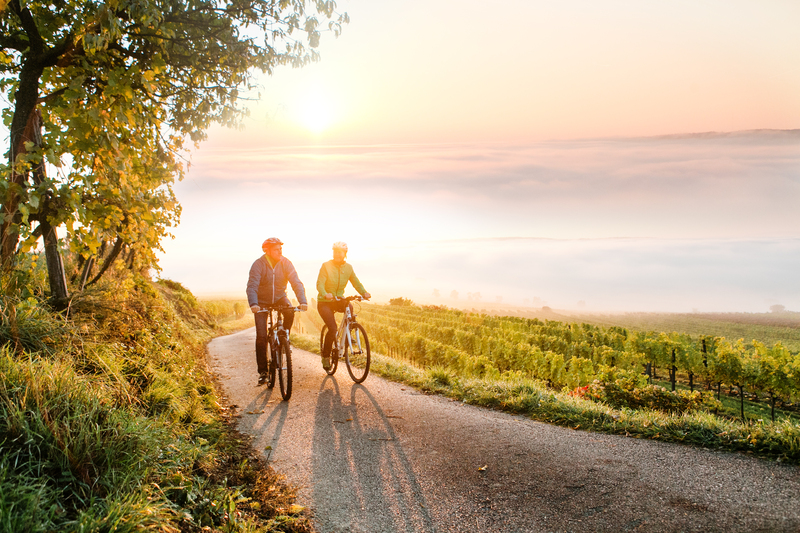 Take your partner by the hand and guide him on a romantic bike ride in the overwhelming sunset of the Thermenregion..
Extended bike rides can also be planned along the Kogelsbach. 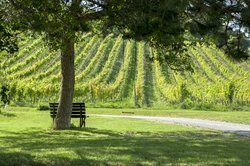 Here are the sources of the world famous Gumpoldskirchner wines. 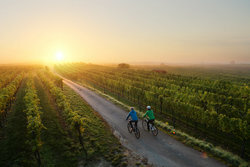 Explore the centuries-old wine culture of Gumpoldskirchen by bike. Take a seat in the shadow of the world-famous Gumpoldskirchen vineyards and enjoy the beautiful views of the rows of vineyards waiting to be harvested to make the excellent Rotgipfler and Zierfandler. The HEURIGEN culture is an elementary part of our regional wine culture in the WIENERWALD. 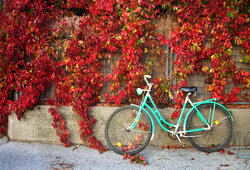 Explore by bike the offerings and the quality of our services. 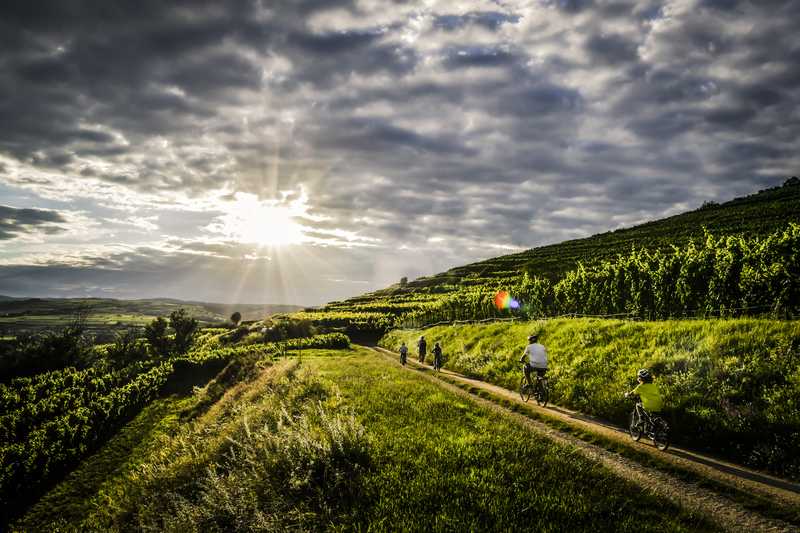 Coming from the "Danube Cycle Path" in the Wachau, you can take a detour to the "Vineyard Cycle Path" in the WIENERWALD Thermenregion. 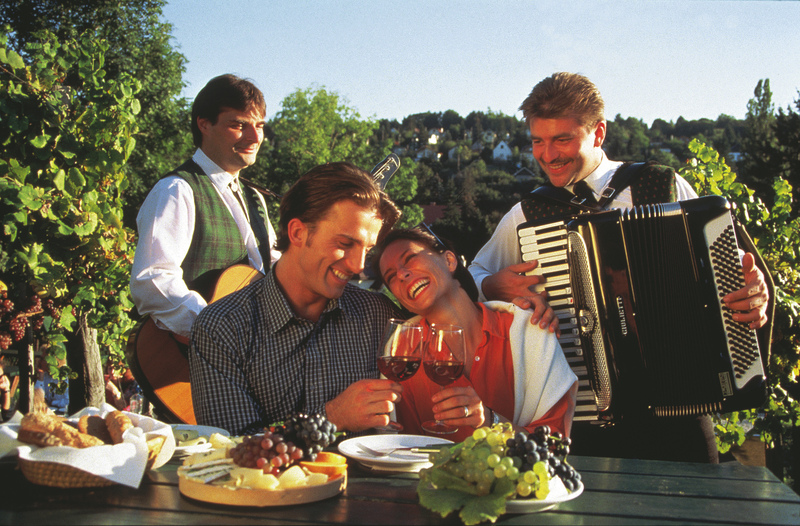 Listen to the local music players when visiting our wine fests or when the HEURIGEN are up. 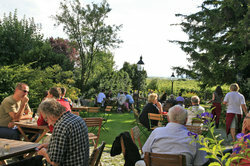 Do not forget to taste the world famous wines of Gumpoldskirchen. 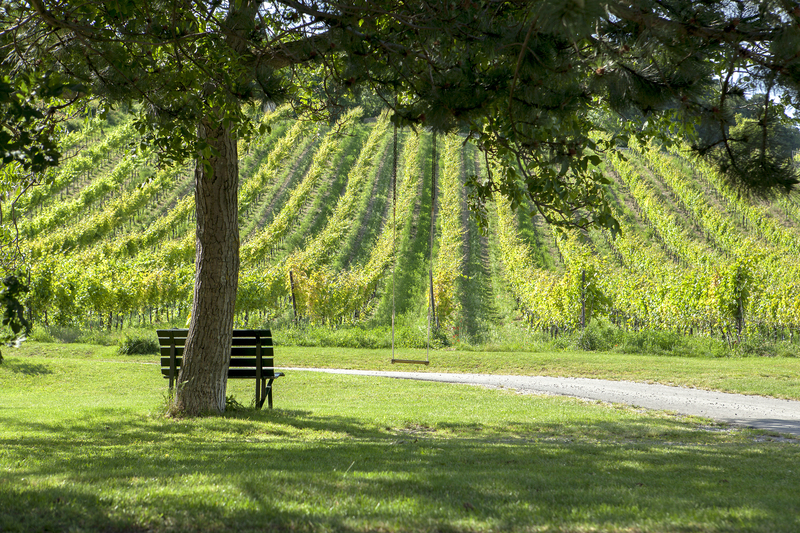 Visit one, or more, of the vineyards in the area and try some of the local wine paired with scrumptious food. With the mountain bike through the varied and hilly Wienerwald. 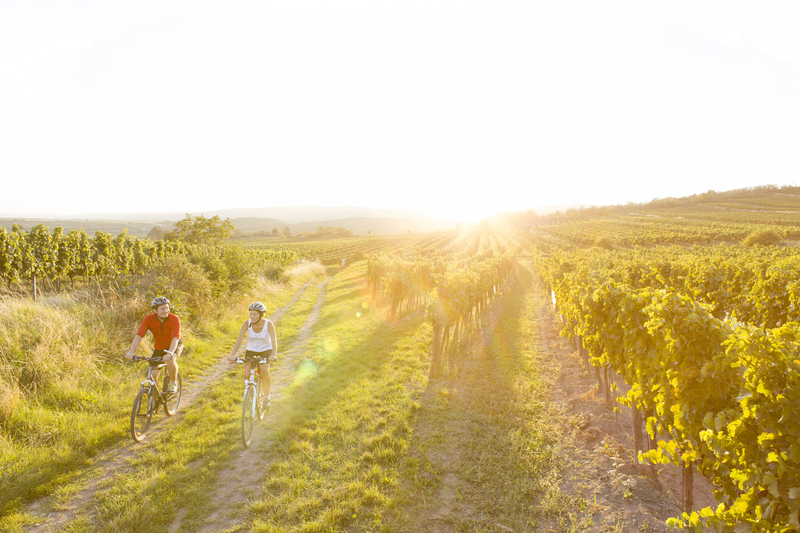 The last stop of a well-planned biking day is the sunset in the vineyards of the Thermenregion. 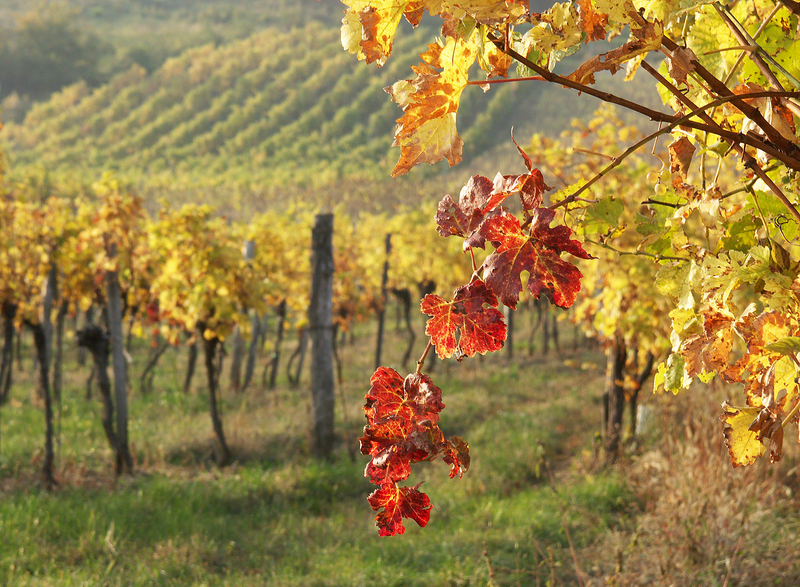 Decide on which wineries you interest you the most, and create a personalized tour. 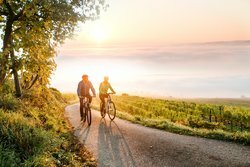 After a sporty cycling day in the autumn, head home from the sun set fog in the evening to the cozy HOTEL LANDHAUS MOSERHOF in Gumpoldskirchen. 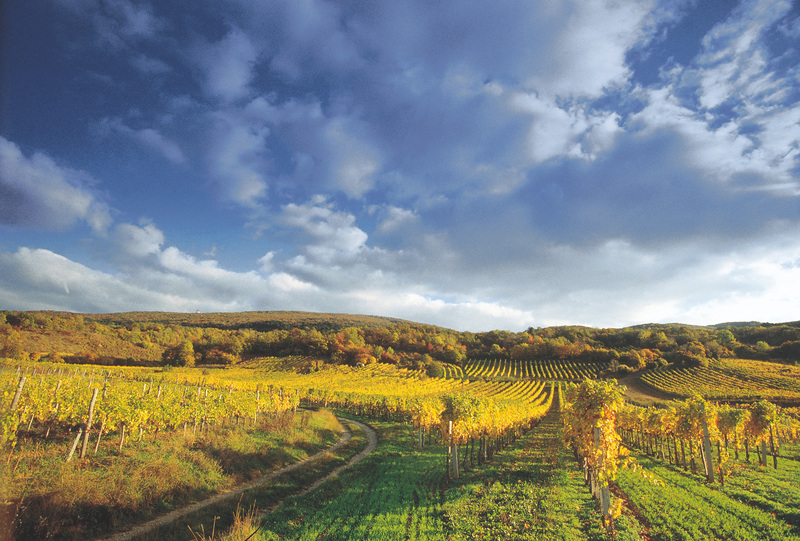 It is a special experience in the WIENERWALD THERMENREGION to do hiking in the extensive vinyards exploring the wine culture in real life. 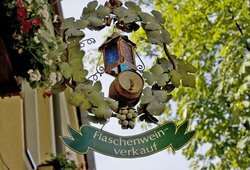 The WIENERWALD (Vienna Forests) offers excellent alternatives and opportunities to experience physical balance and mental refreshment during a leisurely hike protected by lush, green trees in the Vienna Woods. From the Vienna Basin to the Traisen and Gölsen area you will find 1,300 square kilometers of perfectly intact nature in the biosphere park - in close proximity to a city of millions like Vienna, Austria. This is unique in the world. 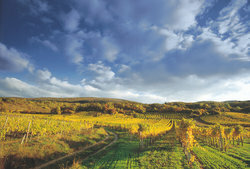 Hilly forest ridges of sandstone in the west, rugged limestone cliffs in the east, deciduous and pine forests, interrupted by meadows and fields, characterize the landscape. This is simply a paradise for beginners and medium experienced hikers. Gumpoldskirchen is known for its wines and vineyards, so whether you are in the area for leisure or business, make sure to not miss out on the chance to explore and try some wine! 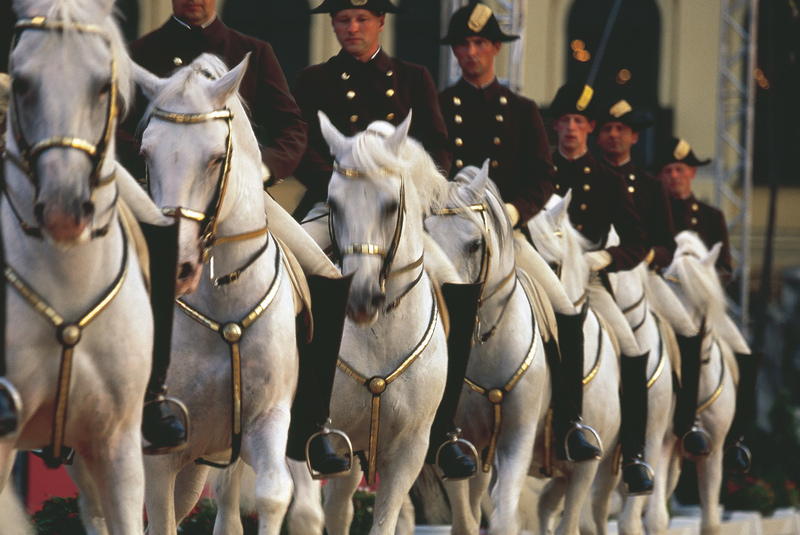 The Spanish Riding School is a world wide recognized traditional riding school für Lipizzan horses that perform in Vienna's Winter Riding School located in the Hofburg. 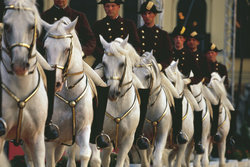 The Spanish Riding School (German: Spanische Hofreitschule) of Vienna, Austria, is a world wide recognized traditional riding school for Lipizzan horses, which perform in the Winter Riding School (Winterreitschule) in the Hofburg. 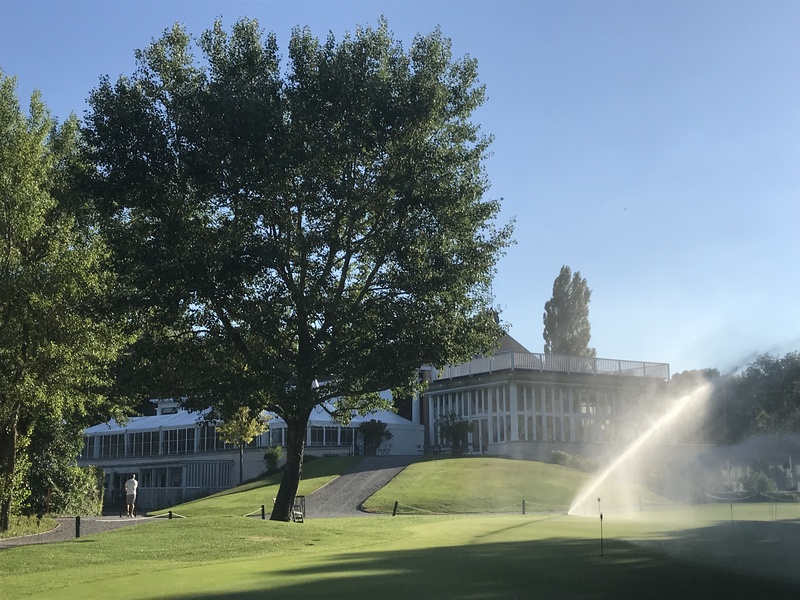 Not only is it a centre for classical dressage, the headquarters is a tourist attraction in Vienna that offers public performances as well as permitting public viewing of some training sessions. 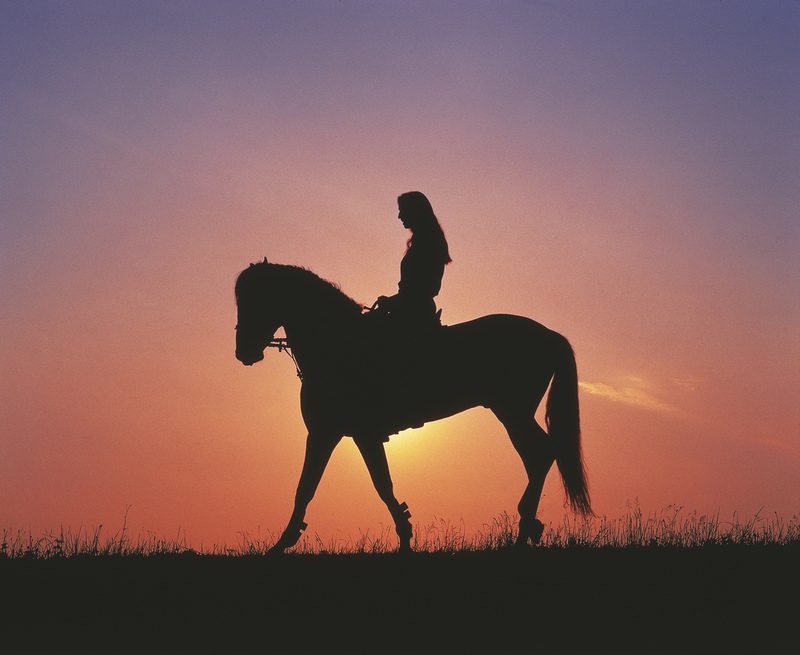 The presentation builds on four centuries of experience and tradition in classical dressage. The leading horses and riders of the school also periodically tour and perform worldwide. Make sure to take advantage of our 14m outdoor pool! 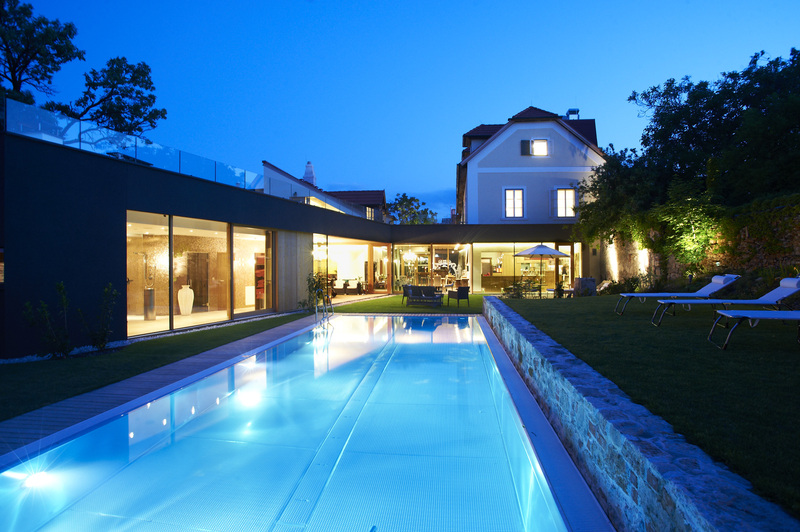 You can work on your cardio by swimming a few laps or just enjoy the sunshine and lounge by the pool. In the evening, step outside to our garden, and go for a refreshing swim. The pool is heated from April to June and from September to end of October. 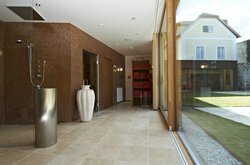 During winter time - November to March - the outdoor pool serves as cool down dip tank after and during your finish sauna and steam bath visit. Take a seat in one of the lounge chairs by the outdoor pool and unwind in the fresh air. 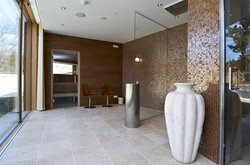 Whether you prefer the sauna or the steam bath, take advantage of our spa facilities to cleanse your body and to relax your muscles. 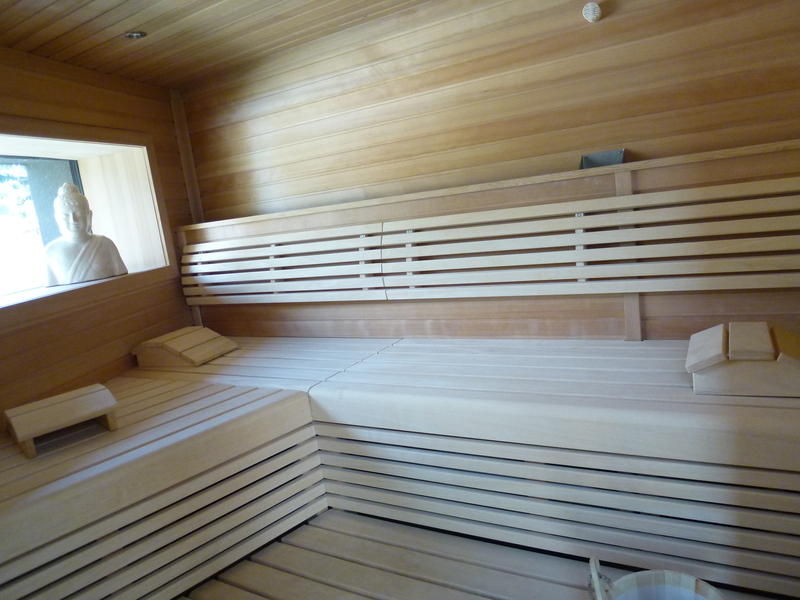 Have some time to yourself in our sauna. 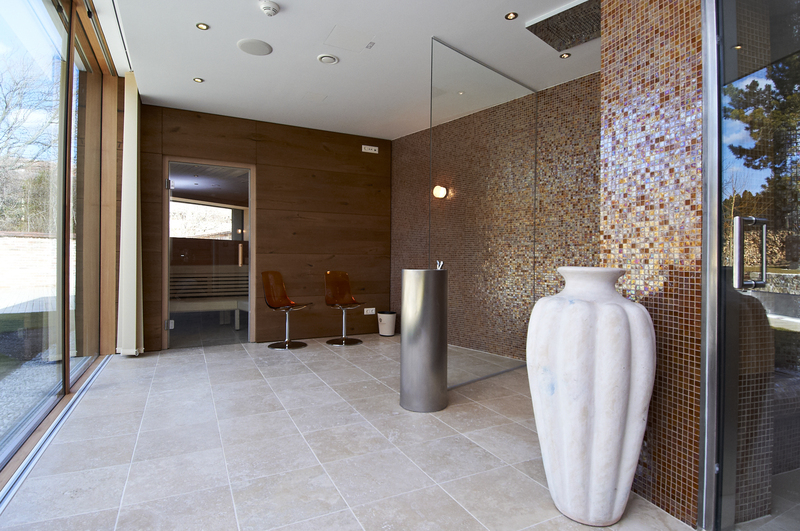 Let your worries and stresses slip away as you give yourself a moment to relax. 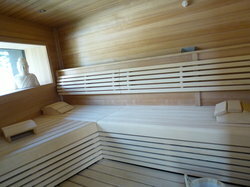 Grab a soft and clean towel and head into the sauna or the steam bath to relax your muscles and unwind.